Success, or lack thereof, is a choice. In fact, the continuous stream of individual choices you make on a daily basis add up to determine the outcomes you experience. Achieving and sustaining success requires everything you think, say, and do to be intentional and aligned with your goals. So how do you identify the choices you need to make to enhance your chances of achieving the level of success you desire? It’s all about planning and thinking your way to success. Step 1 – Establish goals that, when achieved, give you what you want. Everyone has a vision of success. Just ask them, and they’ll be able to describe what success looks like. I’m not talking about impossible dreams for which you may have no realistic chance at ever achieving. What I’m talking about are those visions, that when made true, change your life for the better. Once you define your vision of success, then you need to define the goals, that once attained, will make your visions become reality. Define those goals, and you’re making progress. Write those goals down, and now you’re getting committed. Build a website to establish credibility in the markets I wish to compete in. Develop an effective marketing strategy on a limited budget. Speak at 4 or more conferences and events each year in order to generate leads. Step 2 – Break the goals down into smaller, manageable chunks. Once you have your goals written down, now they need to be broken into smaller, more manageable chunks. You don’t eat a whole pie in one bite, and you don’t do the same with your goals if you want to be successful. One you break the goals down into sub-goals, you start to realize the number of tasks that need to be accomplished. Define what I want to have on my website – which affects design costs. Develop a logo and color scheme for my business that can be prominently displayed on my website and all marketing materials. Determine the budget for the website, which will dictate whether I use a Do It Yourself (DIY) approach via a website template from a provider such as register.com or hire a web developer to build a custom site. Step 3 – Identify the actions required to complete the sub-goals. As you progress through the 7 steps of this plan, you will realize each step requires you to become more specific, more thoughtful, and more committed to your vision. That is how success is achieved. It is not by luck, it is by effort and sometimes being in the right place at the right time. Phase I of My Website Project: In January 2007, my initial website budget was only $300, so I went with a DIY approach using register.com. I launched my business website in February 2007 for a cost of $13.00/month hosting fees ($156 annual cost). Phase II of My Website Project: In the fall of 2008, I decided to invest $1600 to upgrade my site to make it more professional looking and to increase functionality while maintaining control of updating my site content. The “by when” timeline fell through as the revenue stopped flowing in early 2009, so I put the project on hold. Phase IIA of My Website Project: Once the business recovery was solid and revenue became stable, I was ready to reinvest in the website. In late 2011, I contracted with a web developer in Oregon to complete Phase II enhancements, which include adding online payment receiving capability, adding video and testimonials to the site, etc. The “by when” date is late January 2012. Step 4 – Determine which actions you will complete and which you need help from others to complete. There will be tasks that are identified that you have to complete, and there will some that you will need someone else to complete. Remember, success is never a solo act, and this step is where your SUCCESS TEAM really becomes a very valuable asset to you. Utilize the expertise, knowledge, and skills of others to help move you along otherwise you will unnecessarily delay your progress, which could lead to failure if your tolerance for risk and ambiguity are already coming into question. If not, who do I know who knows someone who can do it? Developing Marketing Materials: Developing and maintaining an effective marketing strategy is one of the most time consuming and challenging aspects of entrepreneurship. Initially, I was developing my own marketing materials because my budget was next to nothing. This is where my SUCCESS TEAM helped. My fiance, an obvious critical member of my SUCCESS TEAM, had a friend of her family who developed marketing materials for various companies. By leveraging her relationship, we were able to produce some good quality materials, and it has had a very positive impact. 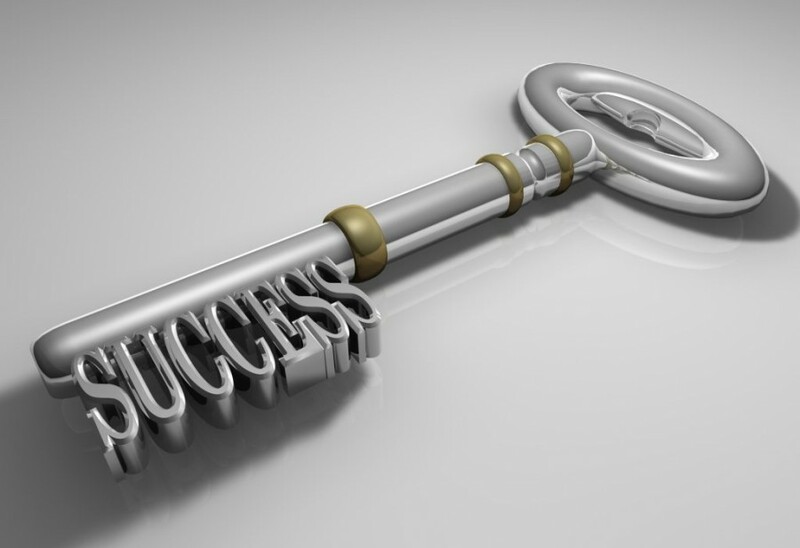 This is the key value of the SUCCESS TEAM. They provide invaluable help you when you need it. Step 5 – Everything you think, say, and do must be intentionally aligned to achieve your goals. Everything. This step requires almost fanatical dedication to completing the tasks that move you closer to goal attainment. The easy measure of your commitment is this – 80% of your daily actions should move you closer to your goals. Anything less and you’re under-committed. Period. The push back I usually hear is that number is too high, it’s unrealistic, etc. If it were easy, more people would be committed. Simple answer – do what you need to do, think the way you need to think, and act the way you need to act to get what you want. Day and night. Without a SUCCESS TEAM to support you, encourage you, believe in you, and help you persevere will increase the chances of failure. Believe in what you want, believe you can get it, and then do the things required to get what you want. Have a plan for dealing with distractions and derailers that will inevitably happen because without a plan and the encouragement from your SUCCESS TEAM, you will fail. During most of my first 3 years as an entrepreneur, I was not truly committed to doing step 5. Instead of focusing on my business at the level I should, I allowed many other distractions to pull me away. I was living in the now instead of planning and living for the future, and I never saw the huge cliff I was about to fall off when the economy went very bad in late 2008. It affected everything, and it almost caused me to give up! What was my saving grace? A member of my SUCCESS TEAM. She dived in, and performed CPR on my psyche and my business, and in the process, reaffirmed she was the right person for me as a lifelong partner (my wife to be) but also my most trusted ally who wants nothing but to see me succeed. Other members of my SUCCESS TEAM helped, and I survived 2009 despite generating less than 25% of the revenue I generated in 2008 for the entire year of 2009. Step 6 – Examine habits and eliminate ANY habits that do NOT move you towards goal attainment. Step 6 goes right along with step 5. James Allen once said, “You are today where your thoughts have brought you; you will be tomorrow where your thoughts take you.” 90% of our behavior is habitual, and the sum total of your daily habits determines your outcomes. Habits are like cholesterol – there are good habits and there are bad habits. Unfortunately, most people are out of balance because their bad habits represent 70% of their total habits. To achieve and sustain success of any kind requires you to identify the habits that take you away from achieving your goals. Now this is tough, it often requires some serious soul searching because in all likelihood, you will have to make some serious changes in order to get what you want. This step is not to be taken lightly or you run the risk of under-estimating your ability to change. It is not a case of motivation – it is a case of lack of follow through. In his Harvard Business Review blog article, Peter Bregman provides 7 easy to adopt steps to overcome distractions that destroy follow through. Notice the similarities in the 7 steps in his article and the 7 in mine? The process works, and it takes follow through. One of my goals is to grow the professional speaking component of my business into six figures in revenue by 2014, and the best way to do that is to be represented by the National Speakers Association and other associations to help me identify high quality speaking opportunities. A requirement of being seen as a high quality speaker by those associations is that you must have quality video of you in action on your website. So my speaking goal is being held up by the website enhance goal. I bought a Sony video camera because I felt I could not afford to have a professional crew videotape any of my speaking events (this is a great example of a limiting thought). So my habitual thinking was to always capture video of me using my Sony camera. In all fairness to the SUCCESS TEAM members who assisted with this, I put them in a no win situation because they were not prepared to do all of the zooming in and out and other video management techniques that produces a good quality video. So I have some decent video, yet it is obviously produced on a very small budget. Then came a speaking event in Greensboro, NC in September 2011. A video production crew from Deep River Productions happened to be there, and I asked my VP of Sales and Marketing to inquire about their prices. She negotiated an excellent deal on the spot, and I decided to take a risk and stop my limiting habit. That day I got my first professionally produced videos created. I had to stop thinking I needed to do this all by myself (bad habit) and allow my VP of Sales and Marketing to do what she does best – negotiate great deals (good habit) that move us closer to our goals. You will see the excellent video produced by Deep River Productions once the new website enhancements are made live. Step 7 – Take action, and adapt the action plans as needed. If you’ve completed steps 1 – 6, congratulations! You have done the hardest part – getting started. You have a thought out plan, things are written down, and you have a way to measure progress. The key to getting what you want is to constantly cycle through all 7 steps and make adjustments as needed. When you have a plan, you significantly increase your ability to adapt, persevere, and make better decisions going forward. You don’t need to know or do everything in order to achieve and sustain success. On the contrary, you simply need a plan on how to deploy and employ the wide variety of resources necessary to get what you want. And when adversity hits, there’s a plan for that too. Check out my blog article 6 Proven Strategies to Overcome Adversity. These 7 steps have helped me continue to pursue my dreams and achieve success along the way. What strategies have you used to achieve success? Please share your success strategies in the comments section, and don’t hesitate to contact me if I can be of assistance to you and your organization. Thanks Cris! After some trial and error and research, I developed this plan years ago, and it has really helped me to achieve even greater things than I could have imagined. Thanks for your feedback and sharing the blog with others! I really appreciate that. I’am moved by the way you set up your blog.I have recieve some points to help me move forward.I look forward in seeing more of your work.You I love what you are doing,keep up the good work,we need you to keep doing what you do to help orther. Thanks for the kind words. I love writing and sharing, so you can rest assure that I will continue to pass on useful tips and strategies to help you achieve the level of success you aspire to. Please feel free to share the blog with others, the more the merrier. Thanks so much, and continue to read and comment as your words and feedback are both welcomed and sincerely appreciated! Sardek, Great website with loads of actionable stuff for anyone to achieve their absolute best. Just used your formula described above to define my own goal. Many thanks and plenty of good wishes to you. Thank you so much Prahlad for your very kind compliments! I strive to provide practical tips in every blog article, and I appreciate your comments reaffirming this. Again I thank you, and please do come back often and feel free to recommend the blog to your friends, family, and colleagues. Many good wishes for success to you. Thank YOU so much for the wonderful comments about my blog article. I sincerely appreciate you taking the time to reference it. I look forward to following your blog as well as following you on Twitter. Thanks again, and happy blogging!